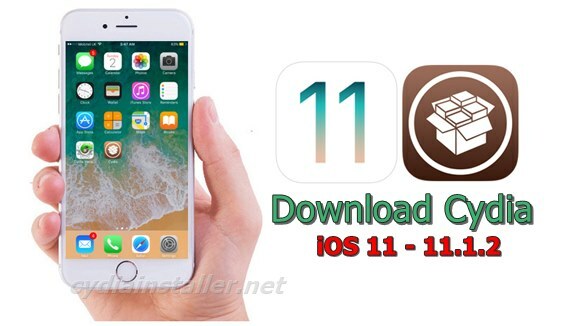 These are the instructions to download Cydia for iPhone, iPad or iPod running iOS 11 to 11.1.2 firmware versions. Here you can find all possible ways and relevant information to jailbreak & Cydia download. Follow me & find your jailbreak to install real Cydia application for your device. 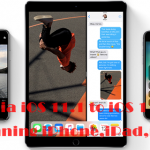 Can I download Cydia for my iOS 11 – 11.1.2 running devices at this moment? Yes, iOS jailbreak developers have now found successful jailbreak solutions for iOS 11. 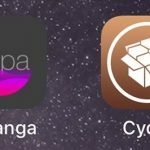 There are four tools available to jailbreak iOS 11 versions but only one (Electra) can perfectly install Cydia for your iOS 11 iPhone, iPad or iPod. As I mention above, currently following tools can use to successfully jailbreak iOS 11 – 11.1.2 running devices. C0F3 jailbreak is newly developed automatic jailbreak tool for iOS 11 & iOS 10 Cydia download. This jailbreak supports install Cydia for iOS 11 – 11.1.2 & iOS 10 – 10.3.3 iPhone, iPad & iPod. How to download Cydia for iOS 11 – 11.1.2 using C0F3 jailbreak ? LiberiOS is one of the most stable & complete iOS 11 jailbreak tool for iOS 11. This jailbreak is developed by the well known iOS researcher, Jonathan Levin for public use. But, it doesn’t install Cydia app automatically as Saurik not yet update Cydia for iOS 11. Once Saurik updated Cydia, you will be able to do all your favorites things with this jailbreak. LiberiOS jailbreak compatible with all 64-bit devices running iOS 11 to iOS 11.1.2 version. How to jailbreak iOS 11 – 11.1.2 using LiberiOS jailbreak ? Well known Tweak developer & hacker, Coolstar has developed a new jailbreak toolkit for iOS 11. 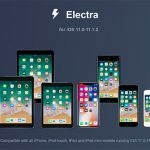 It is called Electra and support for jailbreak all 64-bit devices running iOS 11 – 11.1.2. However, this tool was not included Cydia at this moment. But you can install tweaks & themes with Electra without Cydia. If you do not know how to use SSH, please wait for a later release will include Cydia as well. Coolstar has released Electra jailbreak update with Cydia for all 64-bit devices. Now you can install fully featured Cydia on your iOS 11 – 11.1.2 running devices using latest version of Electra jailbreak. How to install Cydia for iPhone, iPad, iPod using Electra jailbreak ? Is Cydia working correctly on iOS 11 ? As you may know, Cydia is still not fully compatible with iOS 11 firmware. Because Cydia & substrate has not yet updated to iOS 11 by Saurik. However, Coolstar has been successfully bundled Cydia with his innovative Electra jailbreak tool and working order without any issues. So, now you can install working Cydia on any iOS 11 – 11.1.2 running device. As well as you are able to install your favorites jailbreak apps & tweak with Cydia. This means, finally Cydia is now working correctly on iOS 11 only with the Electra jailbreak.